What Can You Do To Go Green? Whether you have a soggy backyard, storm-water in your basement, or just want to take progressive steps towards a sustainable lifestyle, green infrastructure could be right for you. Green Infrastructure (GI) can come in many forms but the most common types of GI for individual households are rain barrels, rain gardens, and permeable pavements. Do you want your own GI? The information below will help you get started. Used to collect rain water from the roof of your home, rain barrels can be a great way to save water and lower your water bill by watering your lawn or garden with a free supply of your own rain water. These barrels help to reduce the amount of storm water that runs off of your property and overwhelms the sewer system during heavy rains. By installing a rain barrel you are not just conserving water, you are keeping water out of our sewers and allowing for it to return to the ground. The average rain barrel will hold between 45-60 gallons of water and they come in a variety of styles. You can pick one up at you local hardware store, or search online for rain barrel workshops put on by you local Sierra Club or other non-profit organizations. These workshops provide you with a step-by-step in person deminstration of how to properly install a rain barrel as well as answers to any questions you might have. You also get to leave with a rain barrel and everything you need to install it at the end of the workshop! Installing a rain garden on your property can be a fun weekend project that helps to reduce storm water run off. Storm water runoff in developed areas contributes greatly to flooding and overwhelming our sewer systems, but it also carries water pollutants such as pesticides and fertilizers from some properties into our water ways, containating our clean water. To reduce the amount of rain water that comes from your property you can install a rain garden and direct your gutter downspout directly into it. Click here for instructions on how to properly install a rain garden as told by the Rain Garden Network! 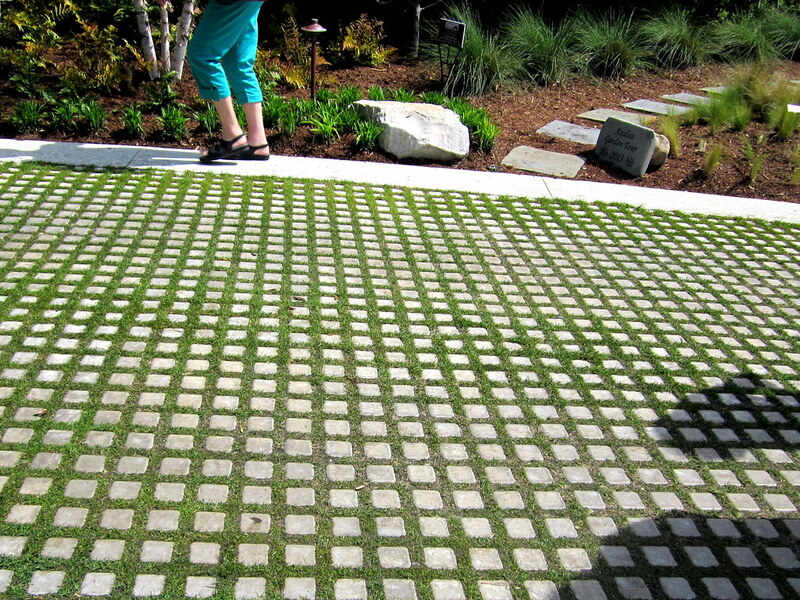 If you are looking for a project that has a tremendous impact on reducing storm water runoff, but involves a little more work, permeable pavements might be worth looking into. Many driveways, patios, and parking lots are made of impermeable materials. This means that none of the rain water that accumulates on the surface can pass through it and back into our groundwaters. Instead, rain water that hits impermeable surfaces runs off of the surface while accumulating in volume and causing flooding in the surrounding areas. Replacing an old impermeable surface with a permeable one takes a little more research and planning but can pay off significantly in the long run. For example, replacing a parking lot with permeable-pavers could save thousands of gallons of water from ending up in our sewer systems during just one rain.